Pain is a conscious experience, crucial for survival. Pain is perceived in the brain, not in your body. Understanding that the perception of pain in the brain and segmental dysfunction are not necessarily related, is an important clinical distinction. PAIN IS PERCEIVED IN THE BRAIN, NOT YOUR BODY. “We have traveled a long way from the psychophysical concept that seeks a simple one-to-one relationship between injury and pain” (Melzack, 1999). Although commonly used as synonymous terms, the words “Pain” and “Suffering” are not the same. Pain is a perception of a noxious stimulus. Suffering is the psychologic experience of the patient that prevents them from separating their physical pain with their ability to live and thrive. The primary reason pain patterns are so commonly misdiagnosed and misunderstood is that practitioners view the patient segmentally. Pain is perceived in the brain, and should be treated that way. The neuromatrix theory of pain proposes that pain is a multidimensional experience produced by “neurosignature” patterns of nerve impulses, generated by a widely distributed neural network in the brain. These neurosignature patterns may be triggered by sensory inputs, but they may also be generated independently of them (Melzack, 2001). the sensorimotor cortex of the parietal lobe. The pain neuromatrix is activated whenever the brain concludes that body tissue is in danger and action is required. That pain is allocated an anatomical reference in the virtual body of the sensory homonculus, upon which coherent motor output is also dependent in the motor homonculus. The human experience of “Pain” as we know it, is an output and ultimately a conscious decision by the brain, based on the sum of all the inputs and past experience. From an evolutionary perspective, pain is for homeostasis of the organism and is produced whenever the brain concludes that body tissue is in danger and action is required. When pain becomes chronic, the efficacy of the pain neuromatrix is strengthened via nociceptive and non-nociceptive mechanisms. This means that less input, both nociceptive and non-nociceptive, is required to produce pain (Moseley, 2003). 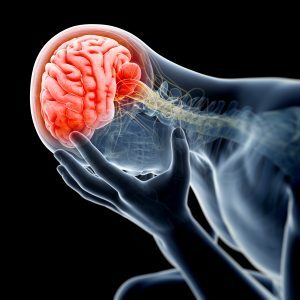 WE NEED TO CHANGE THE BRAIN TO REDUCE PAIN. When new age healthcare professionals are working with chronic pain patients, they need to reduce the amount of threat, or risk to the body to reduce activation of pain pathways. A great way to reduce threat to the system is to educate your patients on how to maintain proper posture. When the patient has proper posture their body is in a position of minimal load and threat associated with flexor dominance. Poor posture increases stress, load, and threat to the body. Regardless of what you do in your office with the patient one-on-one, if you don’t help them reduce environment stress during their daily activities with proper posture, they will continue to present with postural distortion patterns and express pathways of chronic pain. Neuroplastic changes of the Posture System allow the patient to hold themselves upright against gravity in an effective manner, and reduce excessive threat to the system. Posture is fundamental for proper function, and for the reduction of threat leading to chronic pain. © 2017 Lee McGuire. All rights reserved.